Whilst I usually love crafting at Christmas time, but I’ve found Christmas has really sneaked up on me this year. 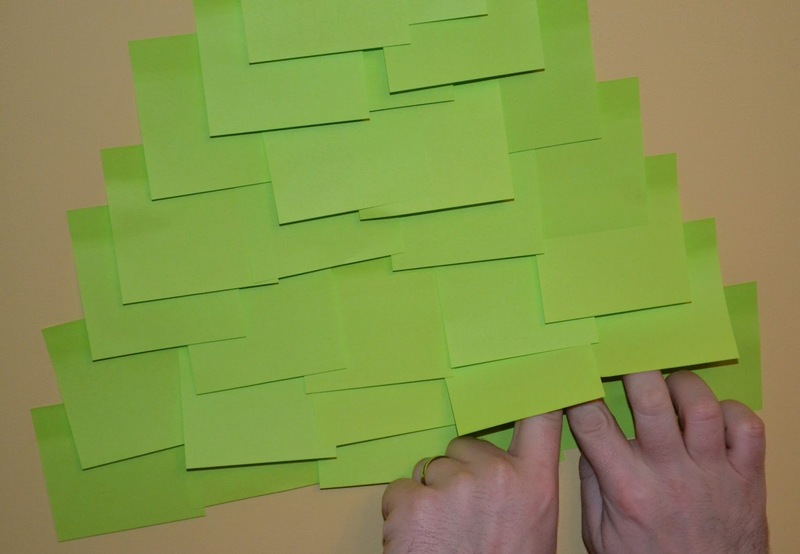 I was rather glad when Viking Direct got in touch to ask me to get involved with their #Christmascraftchallenge. 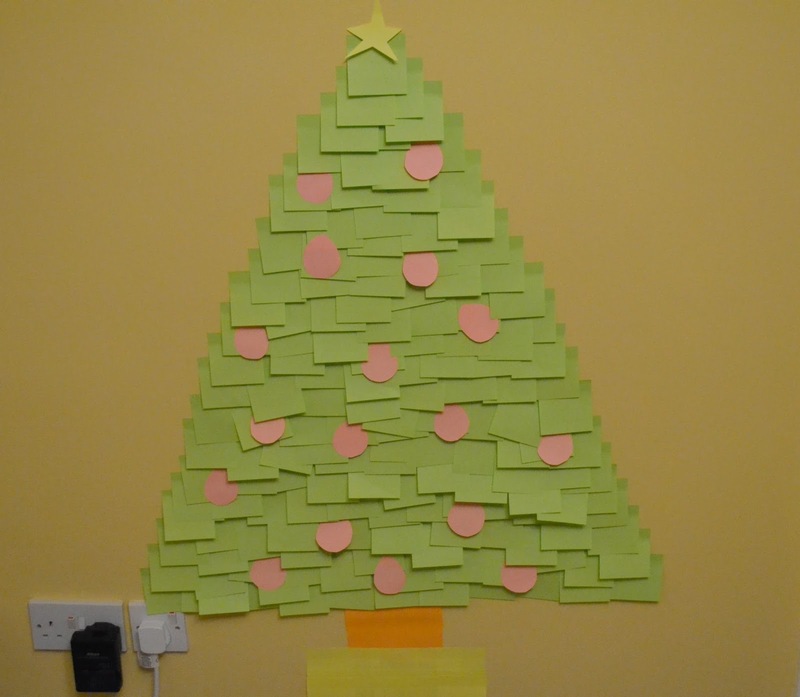 They asked me to create a simple home made Christmas decoration created using just stationery items. I wanted to make something simple so that the little man could get involved too. 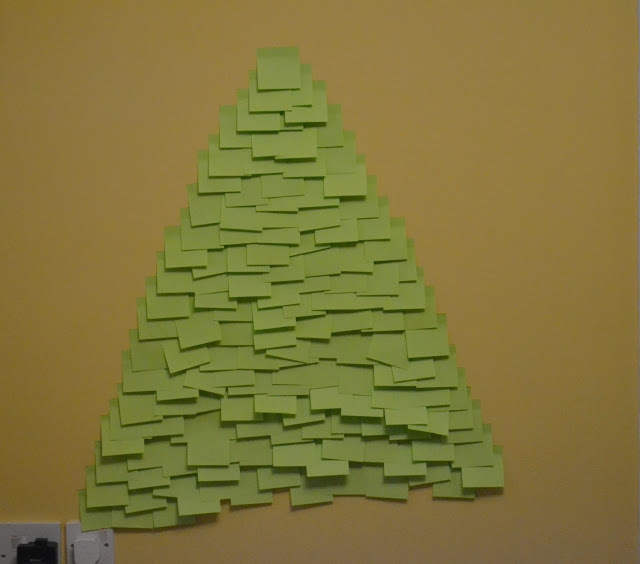 I decided on a Post it note Christmas tree. I’ve seen a few of them on Pinterest and I think they look fab. 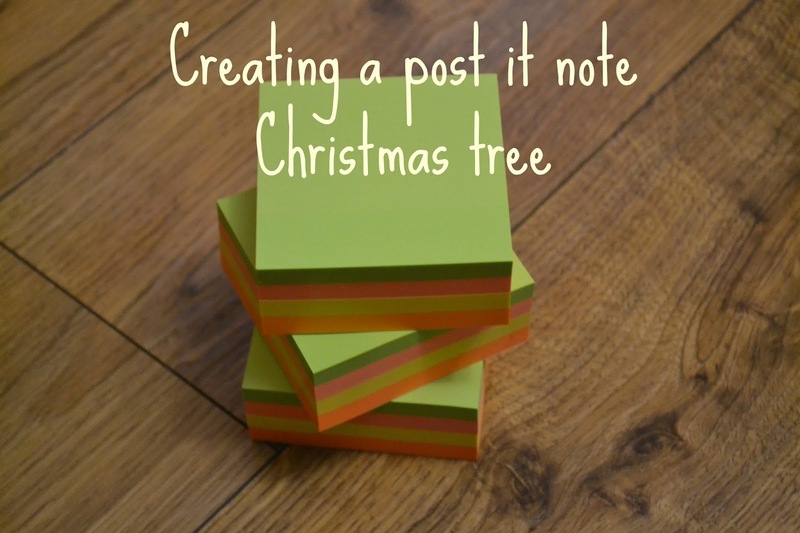 They’re great for a cheap to make, space saving festive decoration. The only materials you need is an Office Depot Cube! 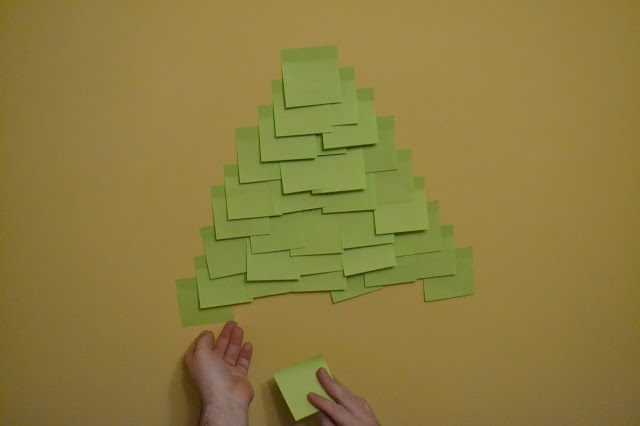 Decide upon the shape or your tree and get sticking! We decided to fill a plain wall in the living room, bringing a little festive cheer that is child friendly and completely safe. 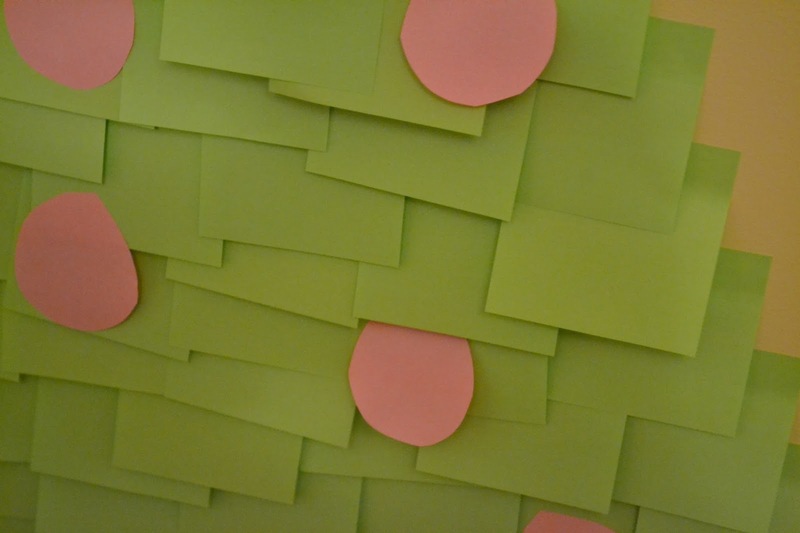 Such a simple but effective task. Once you’re happy with the shape of your tree, it’s time to decorate it! You can make this a bit of a fun family task if you like. 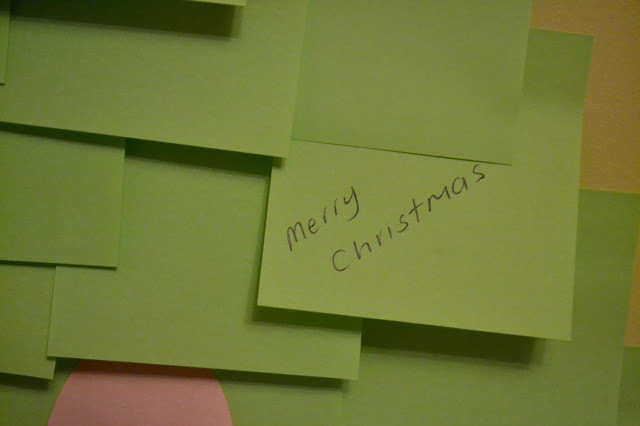 We used different coloured post it notes cut into different shapes to create baubles and a star but you could use anything. You use glitter could even pin real fairy lights too it if you wanted. 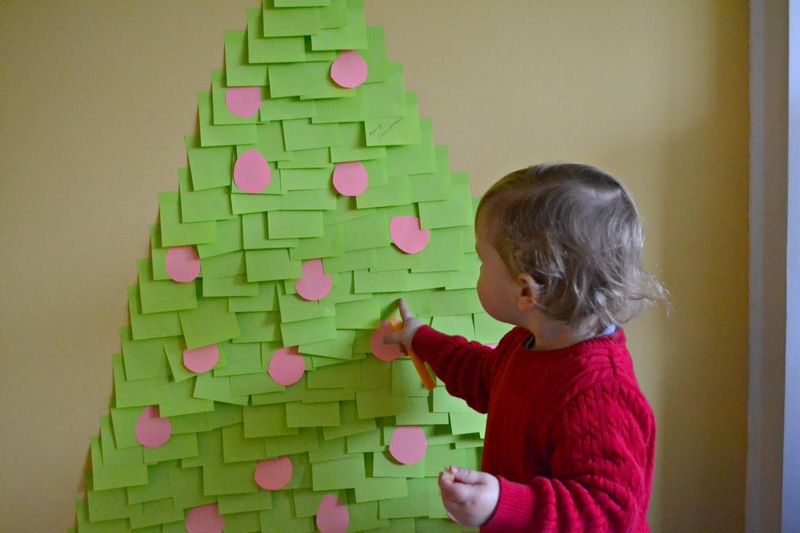 Have you got any other quick and easy DIY Christmas decoration ideas you’d like to share?